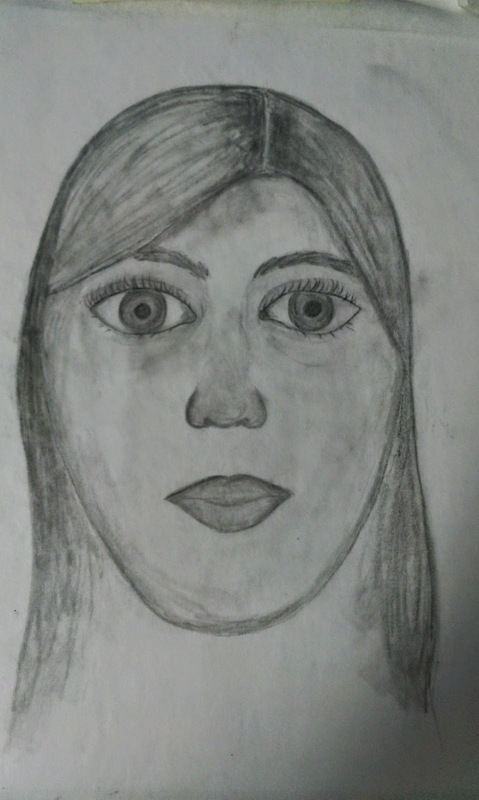 For this self portrait, we had to draw our own face over the skull picture and I drew my proportions off but this only helped me realize for future drawings. This is original work because was drawing my own face and figuring out the different techniques as I went. I thought this was a really good practice to help us see wear the facial features are supposed to go and how the proportions look. I knew for future reference that the eyes are supposed to go lower down over the eye sockets and same with the nose. I did realize when I was drawing the face how important the facial features' proportions are because if they are off even a little bit, it doesn't look as good or as realistic. 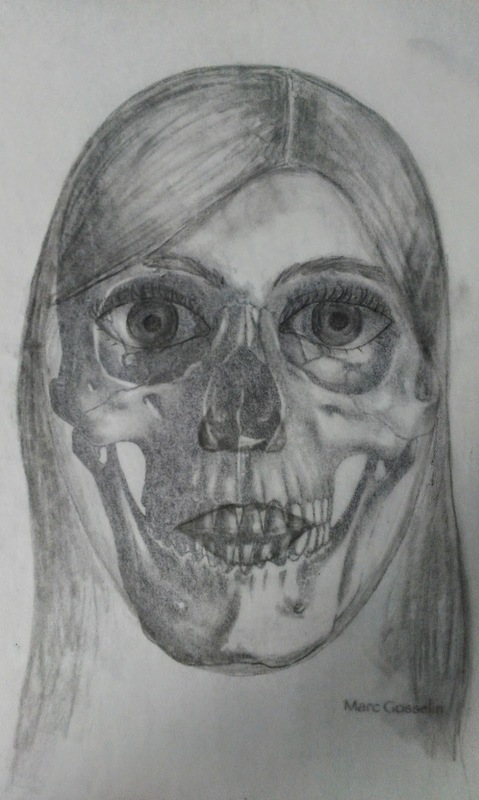 While I had initially thought that drawing over the skull was hard and a little creepy, I soon realized how much it helped me in that drawing and how it would help as reference for future portraits.